An extreme pressure, medium viscosity lubricant designed for the modern high performance vehicle. Sint 75w90 R/T is suitable for the most sophisticated types of manual gearboxes or trans axles operating at maximum capacity. 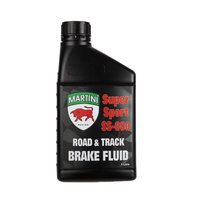 It is also recommended for most self locking limited slip differentials requiring the same lubrication qualities. The advanced Synthetic* technology of this product will help increase component life and greatly extend drain intervals. Sint 75/90 R/T meets all the requirements of the specification API GL-5. Sint R/T Gear Oils meet or exceed the following specifications.